At the beginning of each new season I hit a small slump in the kitchen. I am ready to take on new flavors, but the product available does not seem to match my wants. Thankfully, carrots and beets are almost always available year-round and take on the fall flavors I am craving. I made this dish for dinner last week right before we evacuated for Hurricane Matthew. Luckily, Charleston was spared the worst, but a lot of the southeast was not as fortunate. Our apartment was fine, as well as the street we live on, but a lot of the city is still picking up the pieces that the storm took. We returned to Charleston Sunday evening and are slowly getting back into the swing of things. The majority of the shops and restaurants are opening back up, and the streets seem less like a ghost-town. Now that we are back, I am ready to get back into the kitchen. The summer produce I love is no longer is season, and I am looking for new ways to incorporate early fall vegetables into my diet. 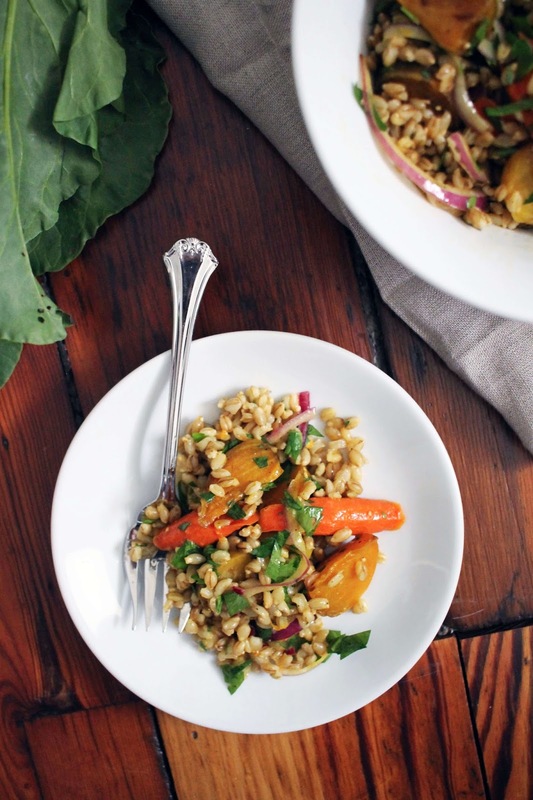 I love the orange vinaigrette that perks up this roasted beet and barley salad. It compliments the early flavors perfectly. Are there any fall recipes you like to make in October? If so, I would love to know them. Let me know in the comments below or send me at tweet @elementsofkatie. 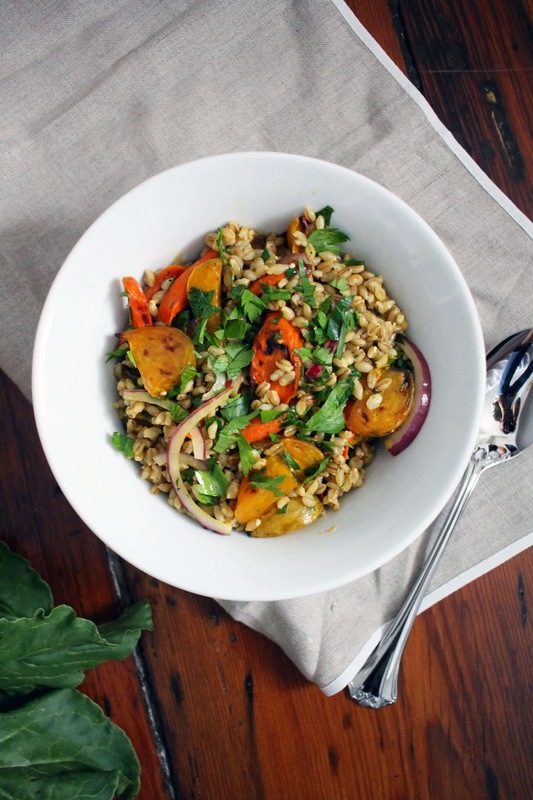 Combine barley with three cups water in a medium sized saucepan. Bring to a boil, cover, and then reduce to a simmer. Cook for 40-50 minutes until barley has absorbed the water. If the barley seems soft but there is still some water left, drain it off. 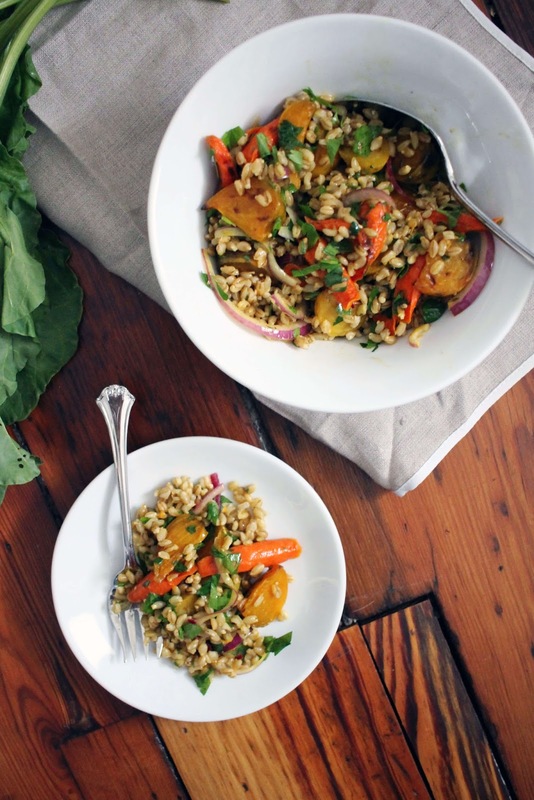 Let the barley rest for 10 minutes and then fluff with a fork. Set aside. Preheat oven to 400 degrees. Wash beets and carrots and cut into 1/2 inch pieces. Place on a rimmed baking sheet and toss with 2 tablespoons olive oil and a generous amount of salt and pepper. Roast for 20-30 minutes until beets and carrots are tender. Remove from oven and place in a large bowl. Place orange zest in bowl with beets and oranges and toss to combine. In a separate bowl combine orange juice, dijon mustard and red wine vinegar. Slowly whisk in remaining olive oil and continue to whisk until a vinaigrette forms. Season to taste with salt and pepper. Pour half the vinaigrette over the warm beets and carrots and allow them to absorb the mixture for a few minutes. 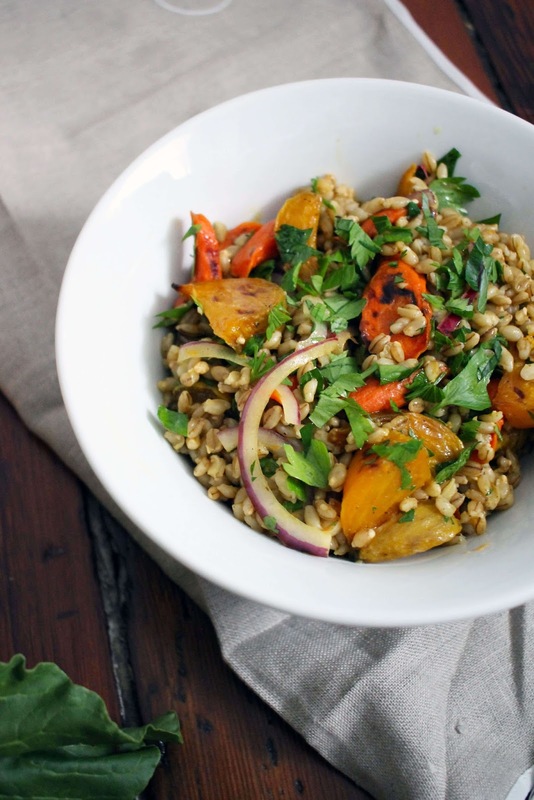 Place fluffed barley, red onion, and parsley in the bowl with the beets and carrots. Pour remaining vinaigrette over the mixture and stir to combine. I find the barley needs a generous amount, but use as much or as little as you please. Serve warm or at room temperature.